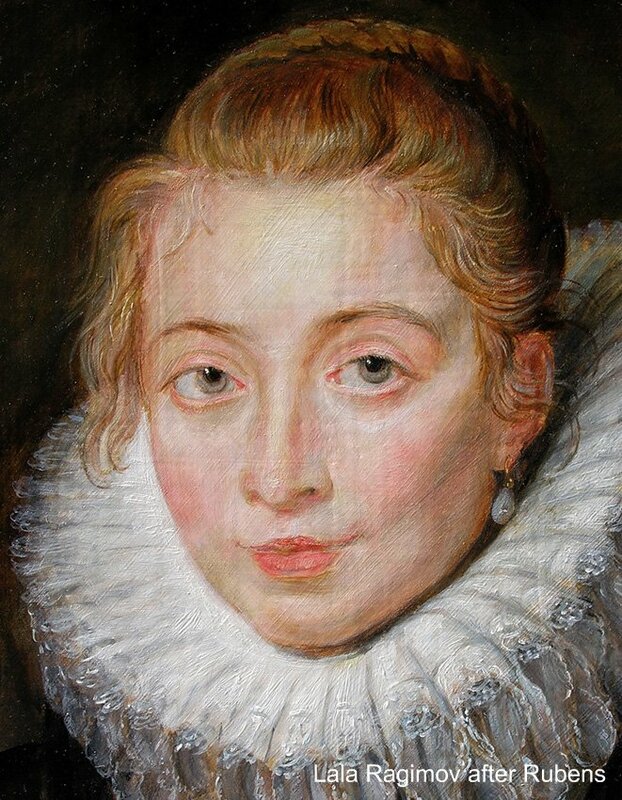 For information on Rubens technique and a bibliography see my Rubens materials page. 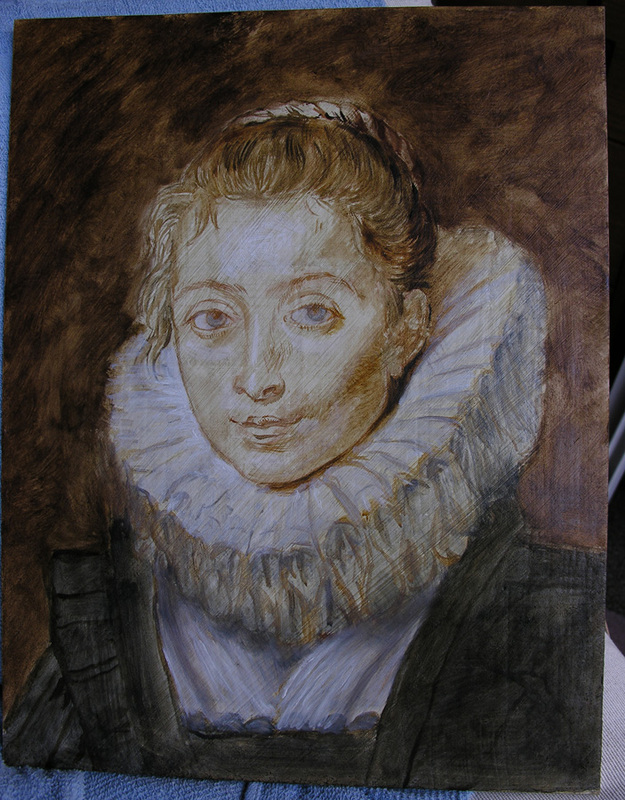 My palette consisted of pigments Rubens often used: lead white, various raw siennas, ochres and umbers, charcoal black, genuine vermilion, Van Dyck brown, chalk (used as extender), lead-tin yellow (type I), madder lake, and some blue verditer (for the white clothing). Half of the paints were made by me from pigment and cold-pressed linseed oil that I bleached in the sun. 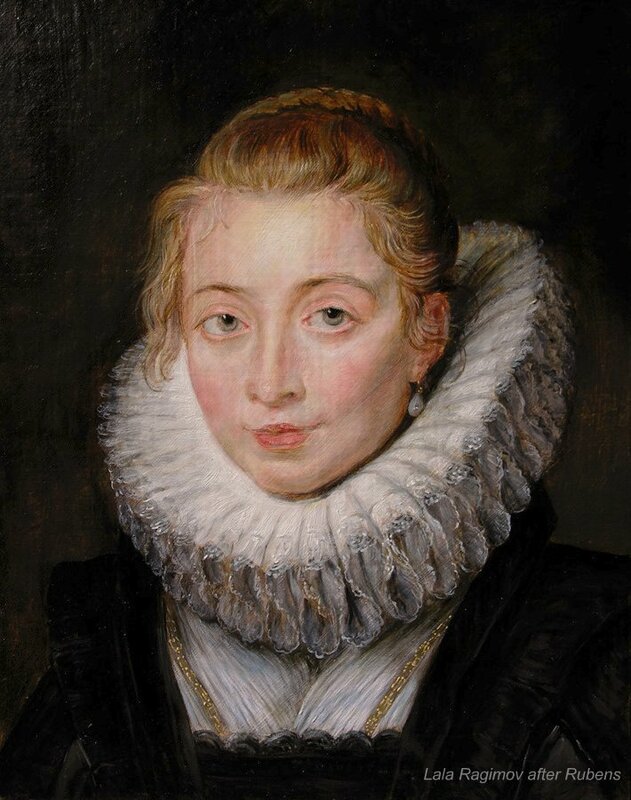 "Infanta's Waiting-maid in Brussels", 1623-25. 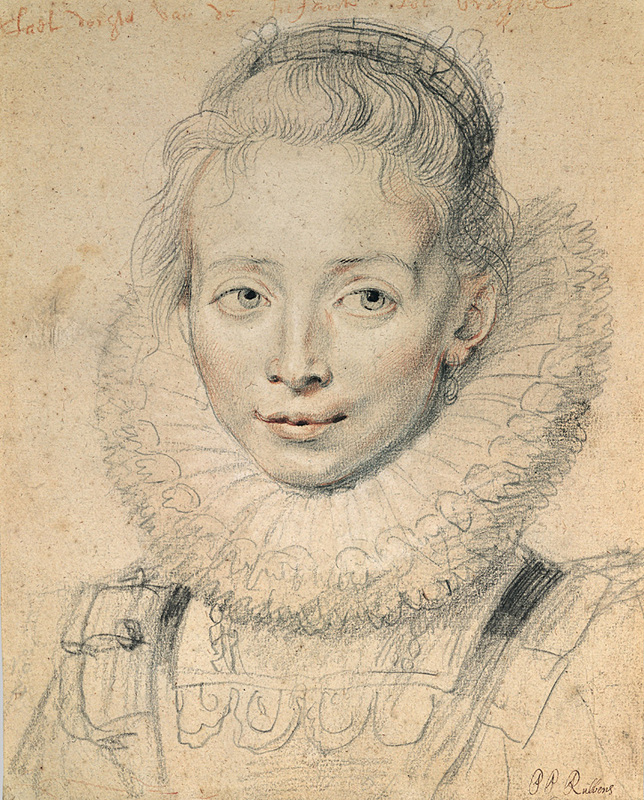 I started by copying a study associated with this painting, an aux trois crayons drawing. 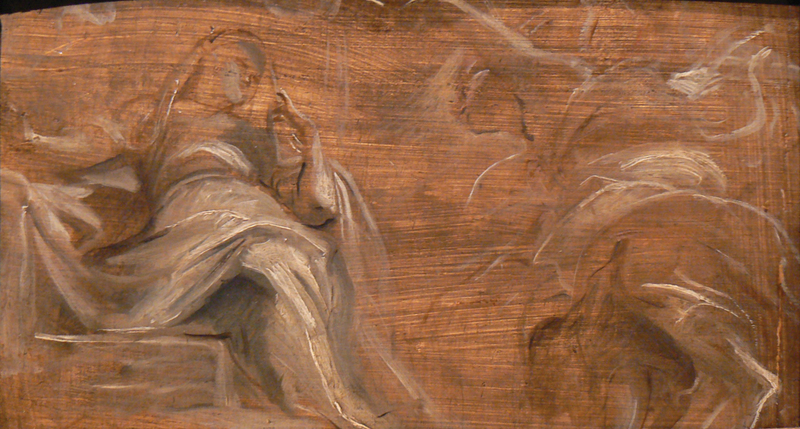 I compared the hatch-mark directions in the drawing to those in the painting (visible through the transparent shadows and half-shadows of the painting) to help guide my underpainting. The first step was a gessoed panel (calcium carbonate chalk and rabbit skin glue) which I didn't sand enough, so the vertical streaks show up in the final painting (lesson learned). 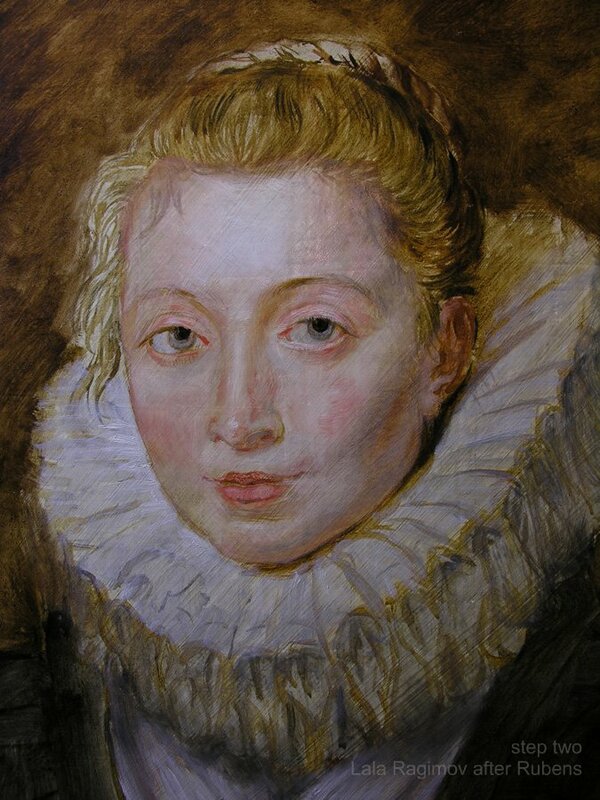 The diagonal streaks (imitating those in the original) come from the egg-oil emulsion imprimatura the recipe for which was kindly described to me by Charlotte Caspers, artist trained as conservator who worked with Rubens imprimatura reconstructions. For good information on streaky imprimatura see "Preparation for Painting, the Artist's Choice and its Consequences. ", p79. 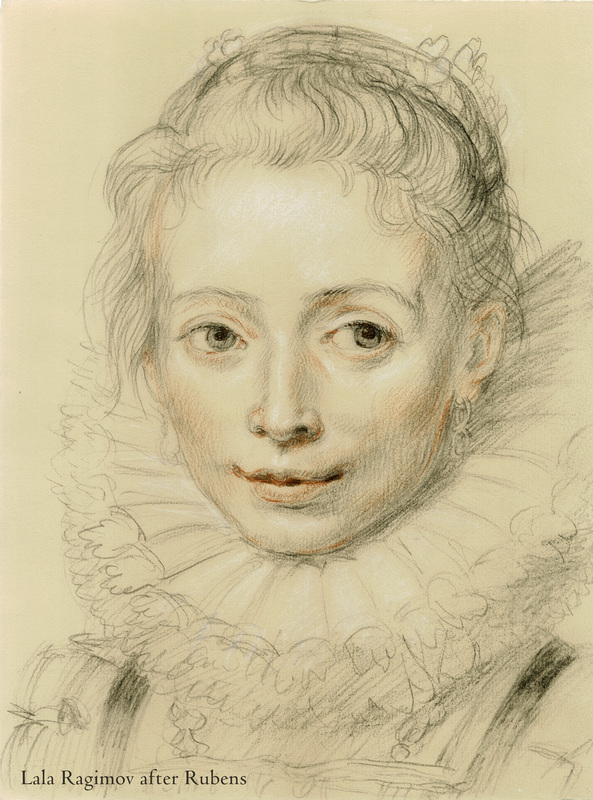 Some Rubens sketches show the grisaille approach while others exhibit what looks like a "dead-paint" layer, muted local colours in mid and light values. 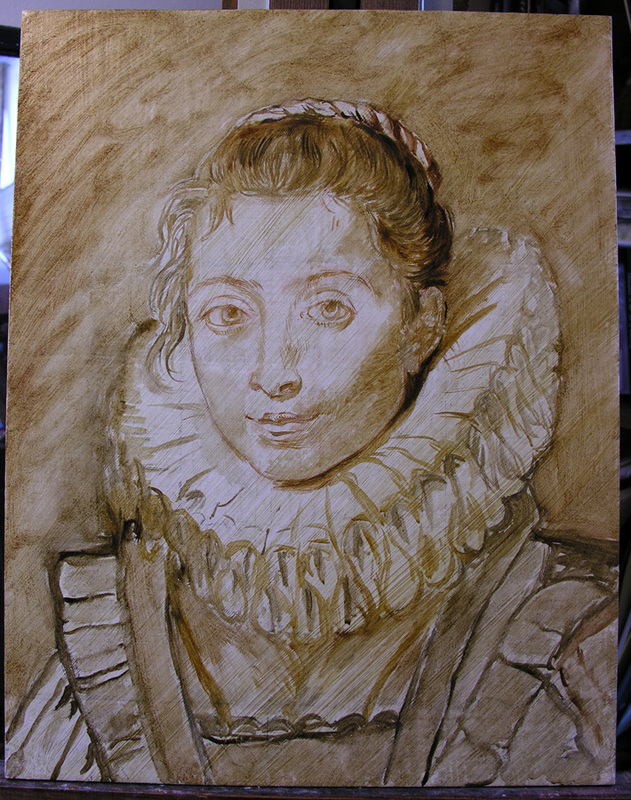 The pale transparent portrait I was copying gave an impression of a grisaille beginning, so I finished the underpainting in raw siennas and umbers with accents in lead white. After that I moved to "dead-paint" (doodwerf) stage, adding unsaturated approximations of local colours to be worked up later. 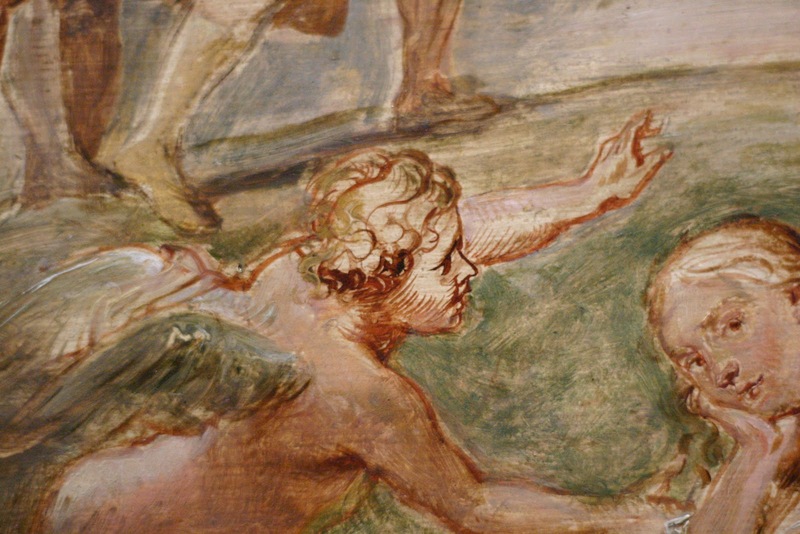 You can observe the dead paint layer on parts of two paintings at the Getty, the Calydonian Boar Hunt and the Return from War. For me copying the masters I admire has always been and continues to be the best way to learn. I would recommend it to beginners and mature artists alike. 1) I strongly recommend making 1:1 scale copies, because if you scale the brush-strokes up or down you lose a lot of information about the technique. 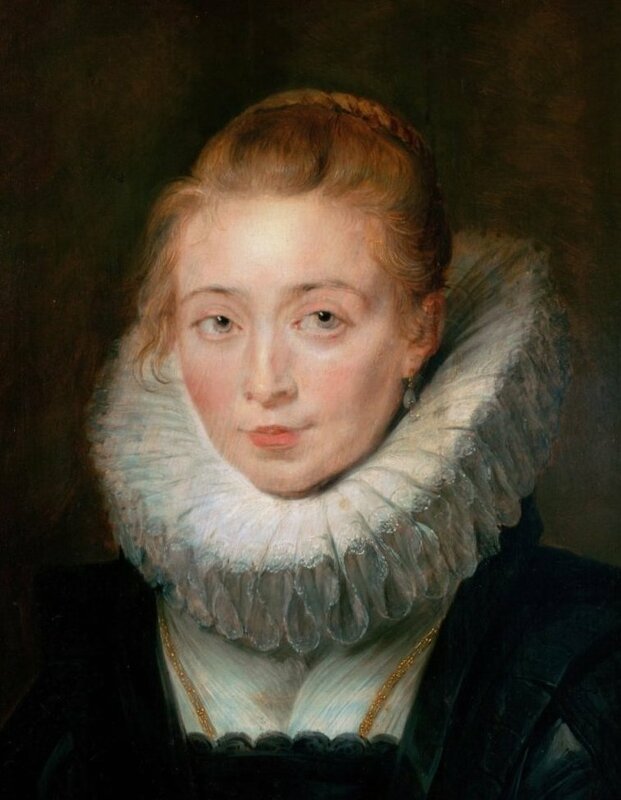 When Rubens himself made his numerous copies of Titian and others, he made them to scale. If you are copying inside a museum that has rules about making your canvas bigger or smaller, scale the canvas but not the image. It needs to remain 1:1 for you to learn about brush sizes, shapes; stiffness or softness of the brush hair; the actual width of lines; quality and thickness of impasto; the scale the artist thought needed to produce an effect; the spirit of the work, etc. I believe that it is more informative to copy a detail to scale than the whole work smaller or larger. 2) Works on panel are best to be copied on panel, works on canvas are best on canvas. Pay attention to the weave of the canvas and observe the correct colour of the priming. When in doubt about the priming/imprimatura makeup or colour, reading conservation literature will usually help. More of my copies can be found here. no artwork or text by Lala Ragimov may be reproduced without her permission.